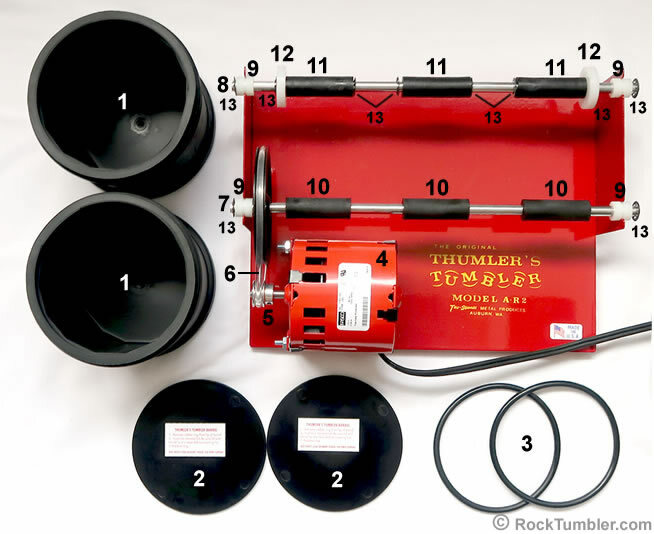 Get replacement parts for your Thumler's A-R2 rotary tumbler on this page. If you need to purachase a complete tumbler visit our A-R2 tumbler page. An A-R2 parts diagram can be found at the bootom of this page to help you decide what part or parts you need. Check out our A-R2 questions, answers and tips learn the basics about operating your machine. Replacing a broken or worn out A-R2 belt is easy and no tools are required for the job. It is a good idea to have an extra belt lying around in case a belt breaks in the middle of tumbling a batch of rough. 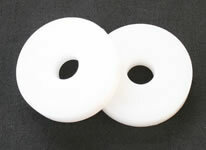 Thumler's A-R2 bearings are made of durable polyethylene. Bearings are simple to replace. Remove the retainer clip, slide the old bearing off, put the new one on and replace the retaining clip. We suggest purchasing some extra retainer rings just in case you damage some while taking it off or putting it on. 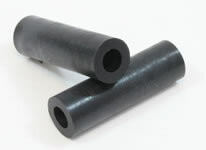 Thumler's A-R2 tumbler barrel guides are made of a durable nylon. You won't replace these often but when you do it is easy to do. Remove the retainer clip, remove the bearing and old guide, slide on a new guide and replace the bearing and retainer clip. Purchasing some extra retainer clips in case you damage one is a good idea. A replacement drive shaft for the Thumlers A-R2 rotary tumbler. Easily replaced, just remove the belt, remove old shaft, snap the new one in and put the belt back on. 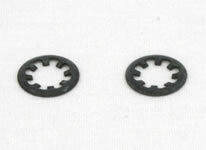 Includes all parts: Shaft, pulley, bearings, rubber rollers and retainer rings. A complete idler shaft for the Thumlers Model A-R2 rotary tumbler. 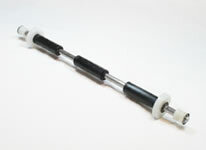 This shaft has all of the necessary components and is fast and easy to replace. This plastic barrel lid is for Thumler's A-R2 three-pound barrels. It also fits Models A-R1, MP-1 and Model T barrels. 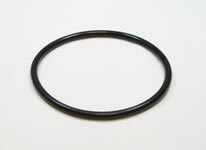 A rubber retaining ring used to secure the lid on a Thumler's A-R2 three-pound barrels. 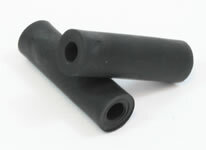 Also fits Models A-R1, MP-1 and Model-T barrels. 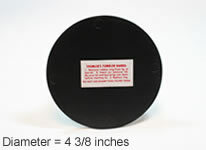 This is a three pound capacity barrel designed to fit Thumler's Model A-R2 rock tumbler. It is also the same barrel used on the Model A-R1, and Model T rock tumblers. 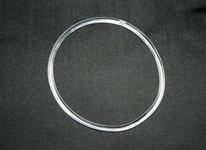 It is a complete barrel with retaining ring and plastic. 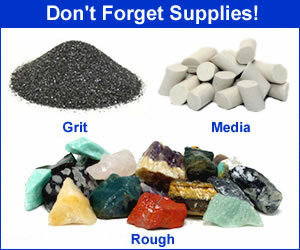 TIP: Purchasing an extra barrel for the polish step will reduce the chance of contamination from the larger grit steps. This pulley fits the motor on all A-R model Thumler's Tumbler. 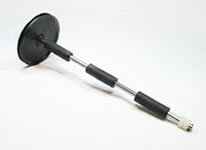 This Thumler's A-R2 pulley has a 1/4" bore diameter and 3/4" outside diameter. This Thumler's A-R2 rock tumbler motor is overload protected. It will automatically shut off under too much load. This motor is very easy to attach and get back to tumbling.